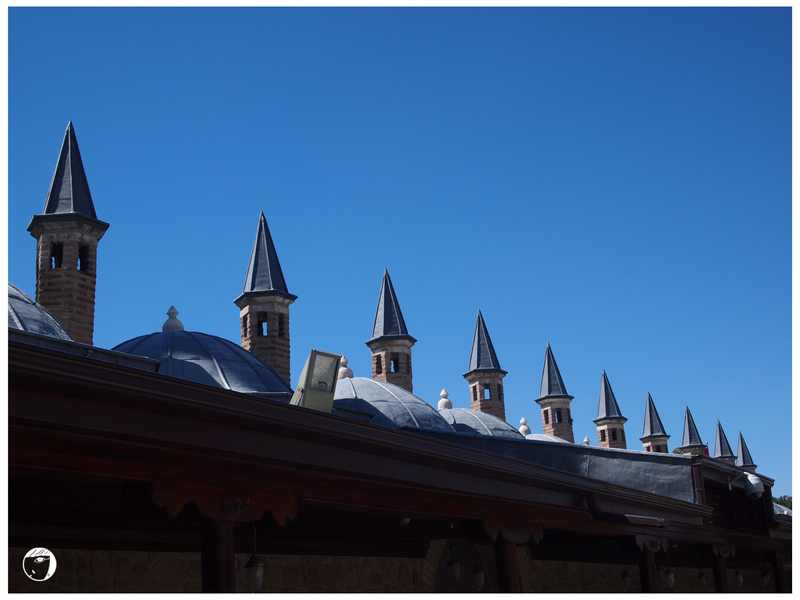 On the way to Istanbul, I visited a city named Konya. 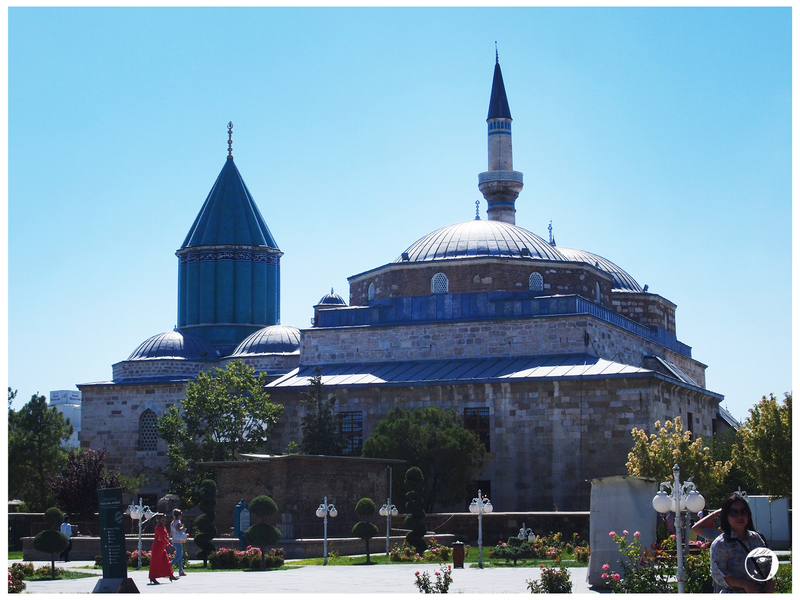 Visiting Konya, it is a must to drop by at the Mevlana Museum or in Turkish “Mevlana Müzesi“. The museum is one top tourist attraction in the city and it is also an important place of Muslim pilgrimage. In the museum, visitors can learn about the dervishes’ training, and the unique practice of Islam that this region has produced. Why is it an important place of Muslim pilgrimage? 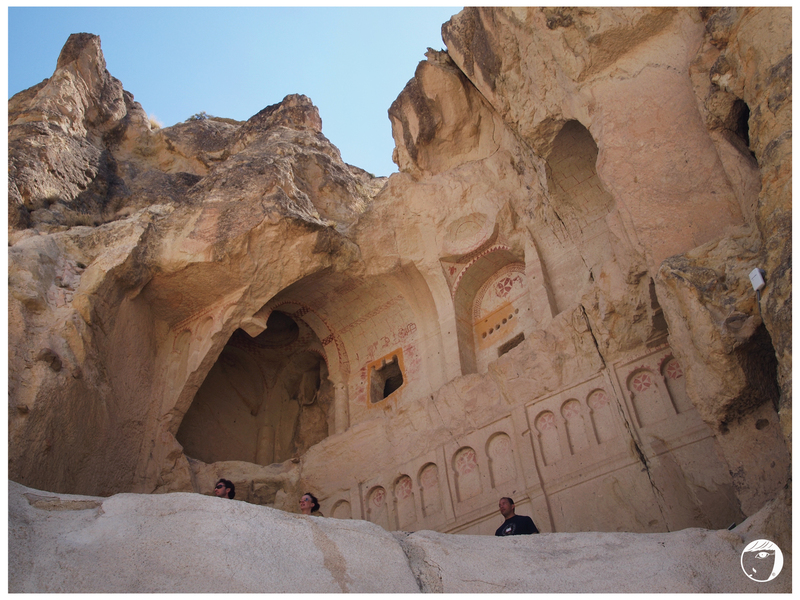 It is because the museum also holds the tomb and shrine of the Mevlâna Jelaleddin Rumî. For Muslims, Rumî is a saint. He is also the founder of the Whirling Dervishes. 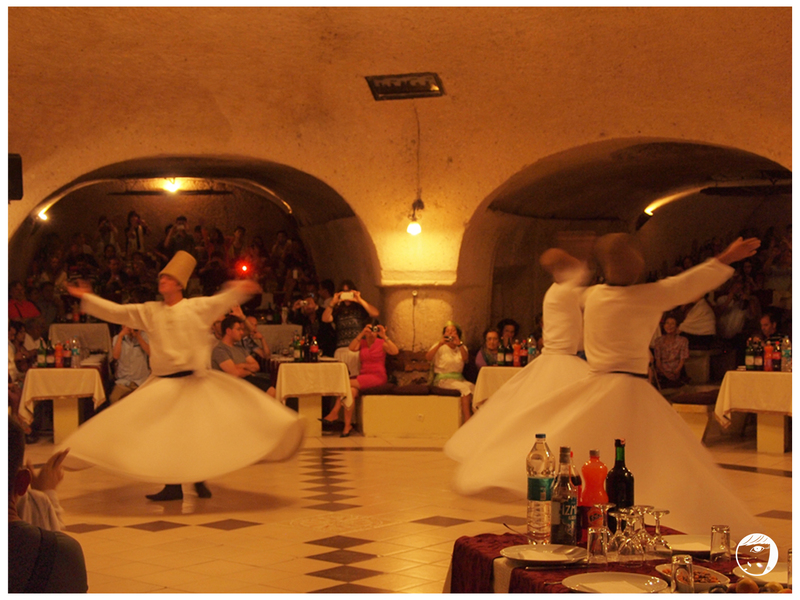 What is Whirling Dervishes is similar to a form of meditation in a continuous twirling dance with one hand pointed upward reaching for the divine and the other hand pointed toward the ground. Their dance is a traditional form of Sufi worship and was influenced by Turkish customs and culture. It emphasises universal love, peace, acceptance of various spiritual paths and a mystical union with the divine. I watched the dance at Cappadocia together with the belly dancing performance. 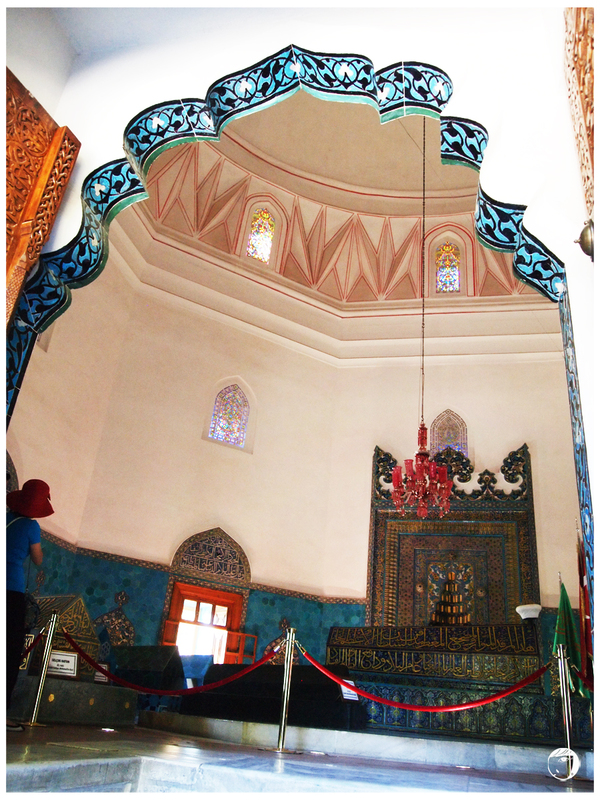 The interior of the iconic mosque is beautifully decorated – the mausoleum area is awe inspiring. Because tombs are present and to respect the pilgrims who pray, indoors photography is forbidden. It was very peaceful and silent inside. This is an fairly interesting place to look around even if you are not into the Muslim history. You can learn a lot from the exhibits that are well presented. 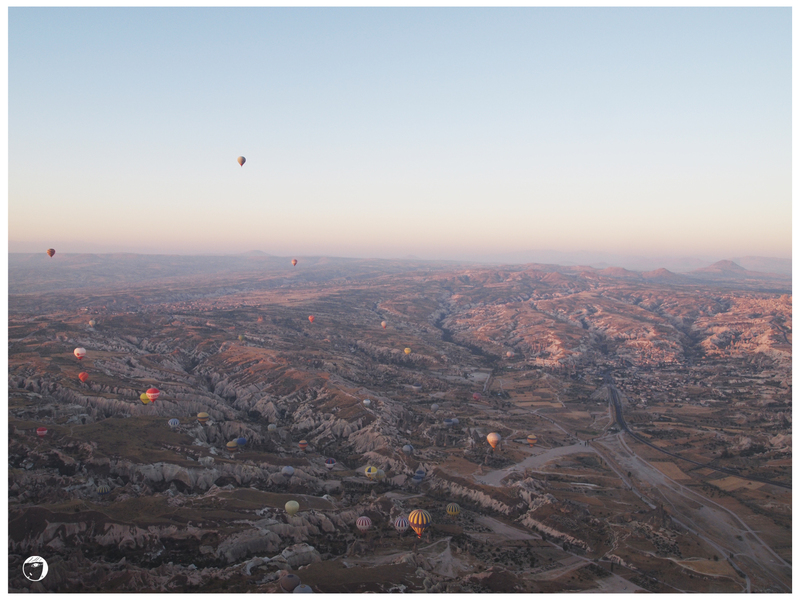 Cappadocia gave me the most thrilling but yet exciting experience ever happened in my life so far : riding Hot Air Balloon! Flying on plane has been my hobby, well could be said my travel need. 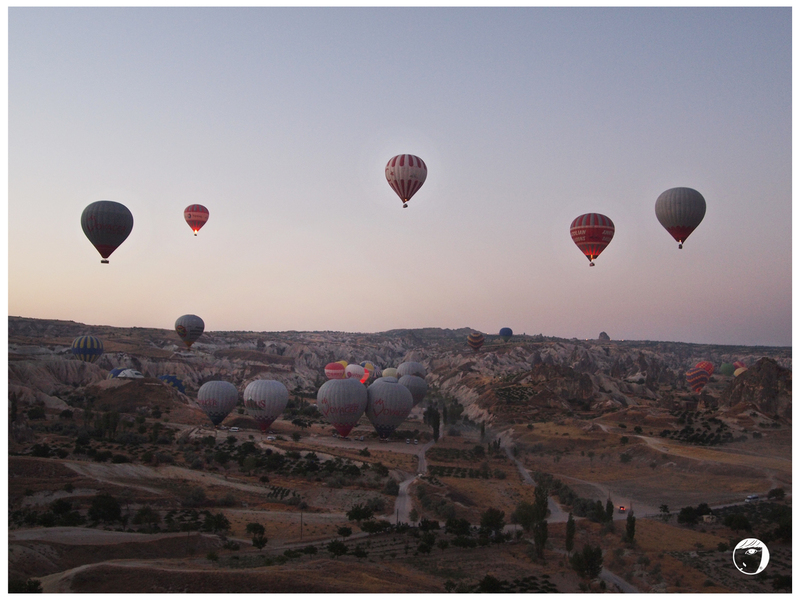 I’ve been hearing from my friends that if I were to travel to Turkey, riding an hot air balloon is an unforgettable experience that not to be missed. So, hot air balloon? Here we go! 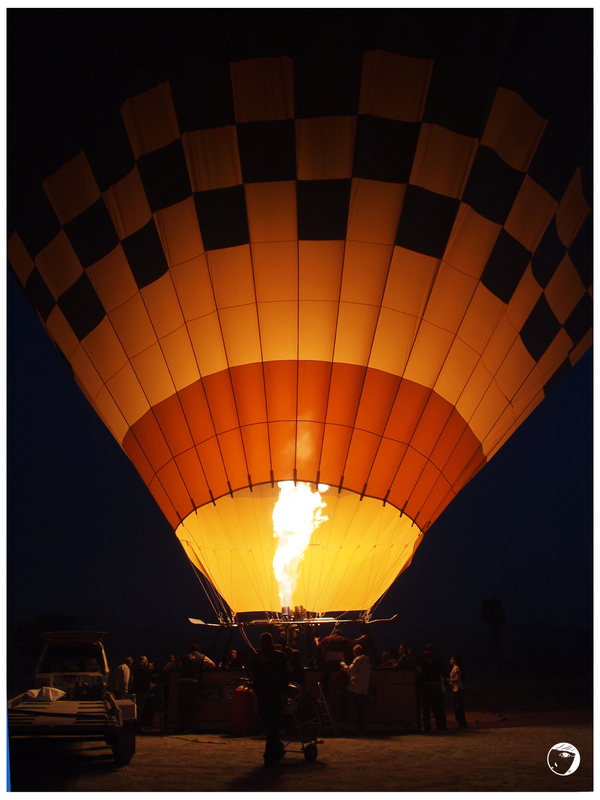 Once you book your hot air balloon, the crew will provide a pick up service to the takeoff site at the hotel before dawn. While waiting for the hot air balloon to be ready, small breakfast such as biscuits, bread and warm tea or coffee are served. Then, the van will bring us to the take off site. Here you will see the crew busy flaming up the balloon, not to burn, but to fill up the balloon with heated air so it can fly. 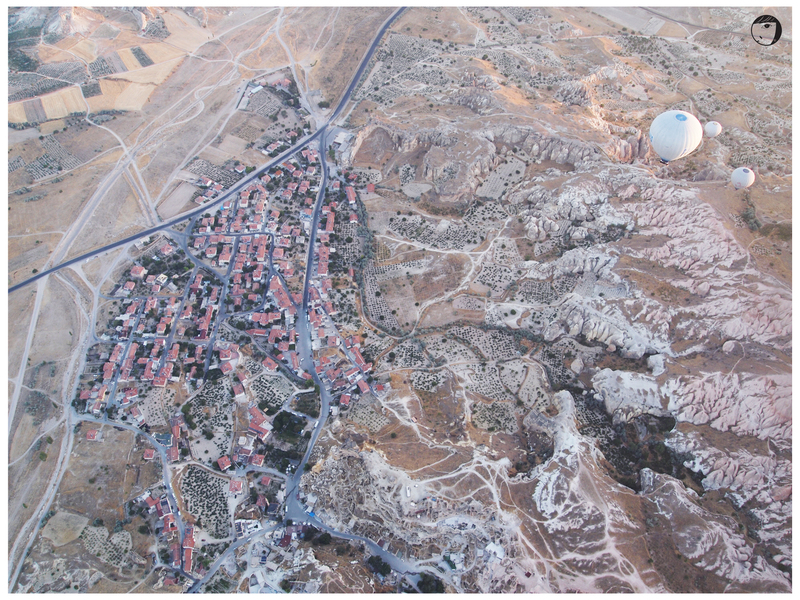 Cappadocia balloon flights is getting more popular every year. Of course, perfect weather conditions is required. The best time for the fly is from April-October. If your balloon company cancels your flight because of unsafe conditions, don’t be upset because safety will always go first. The pilots are skilled and experienced too, certified to fly the balloons. 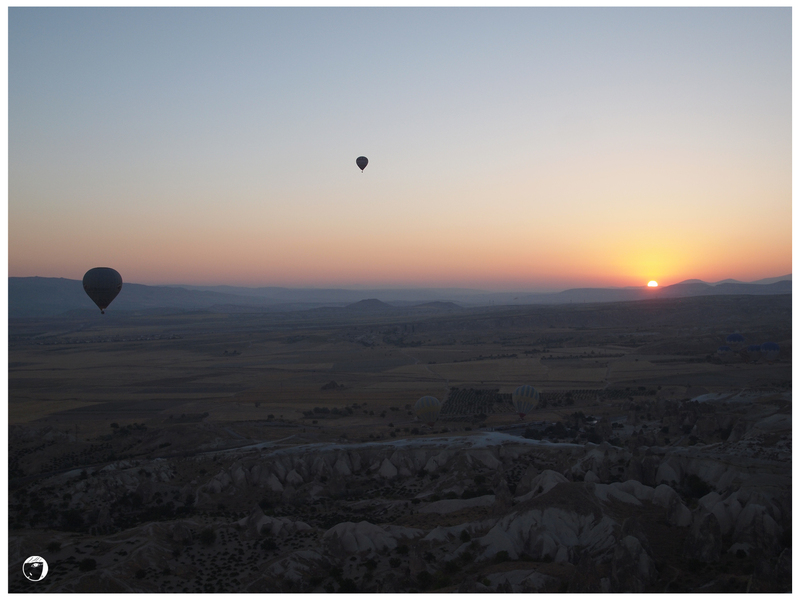 The ride took about 1 hour and you will be able to watch the sunrise from the balloon. The views from the top are breathtaking. People who enjoy photography like me, please bring extra memory card because you are going to shoot hundreds or even thousands. I took around 800 shoots just from the ride alone. The most important part from riding the balloon are the landing moment. The pilot will teach the passengers the correct landing position. This is important for the safe-landing. Once done, the crew will pick us up where we landed. We will be awarded by certificate to acknowledge the experience of riding hot air balloon. Then, take a sip a traditional champagne toast to a successful aeronautical adventure. 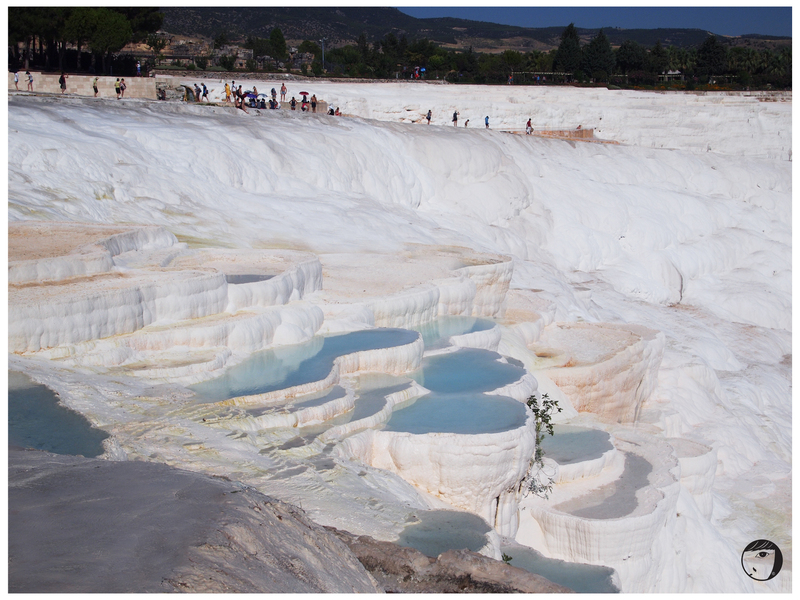 Pamukkale or also known as Cotton Castle, is a beautiful place that I will never forget. On the other hand, I will not forget that my skin is burnt because of the scorching hot sun. So if you are thinking to go here in the summer, don’t forget your umbrella, hat and SUNBLOCK! From the main gate to the travertines hot spring, 10 mins of walking is needed. The surrounding of the walk path is vast fields with a few trees around. 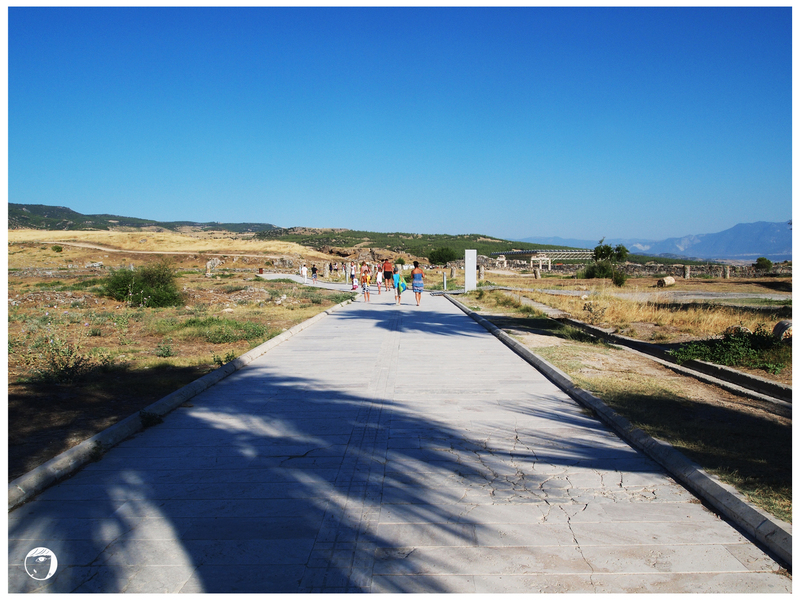 Many visitors walk with their swimsuits or bikinis only, going to or coming back from bathing in its pools. The big field are used to be hotels. 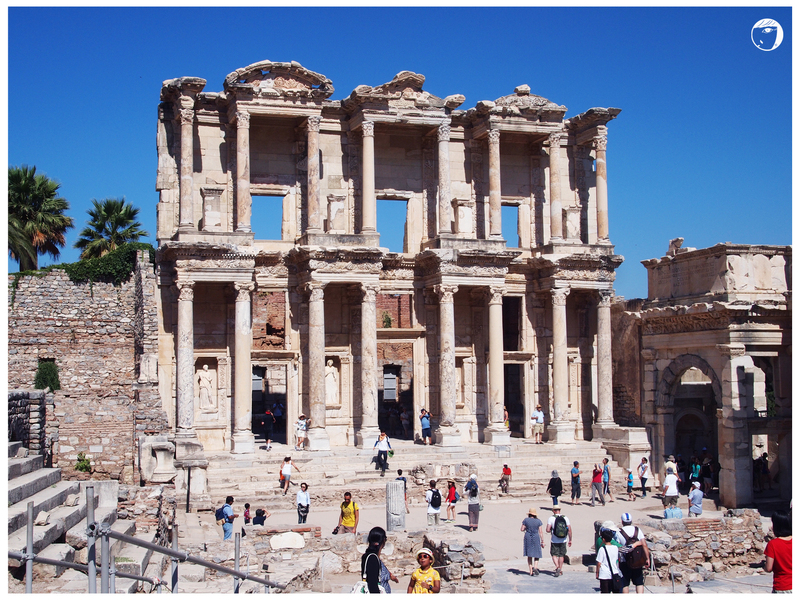 However since the place is claimed as the UNESCO World Heritage Site, the hotels are demolished to avoid the area from being damaged. 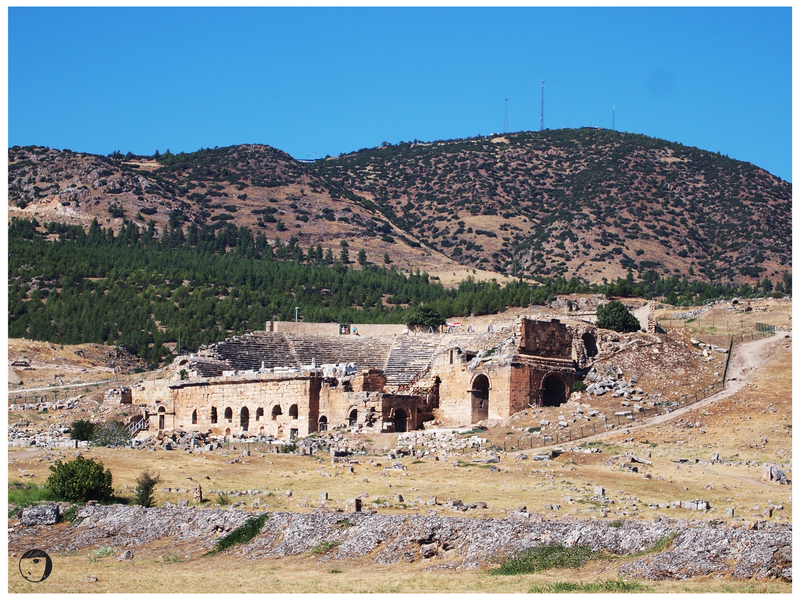 On the plateau overlooking the travertines is the ruins of the ancient Greco-Roman and Byzantine city of Hierapolis as well as the Sacred Pool. 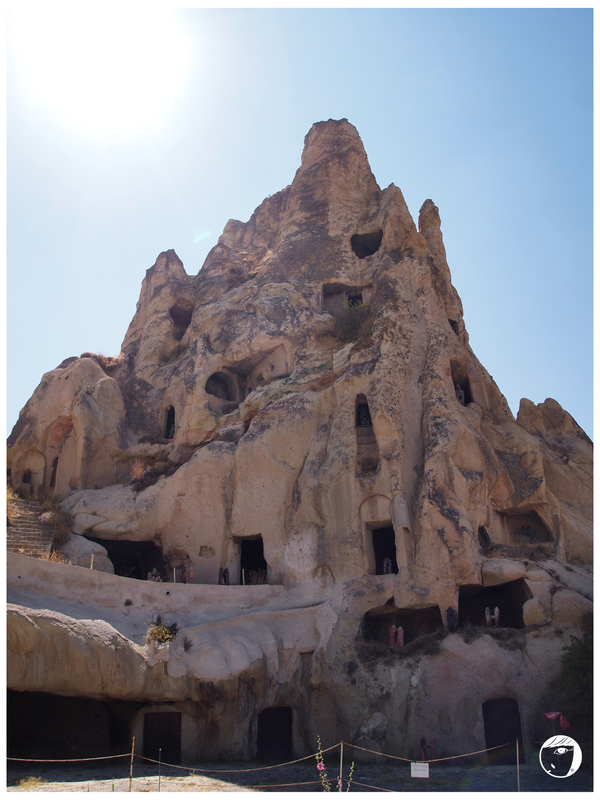 For an extra 30 TL each you are able to swim in the Sacred Pool. Unfortunately I did not go the the Sacred Pool, but according to people’s reviews, it is well worth the money. 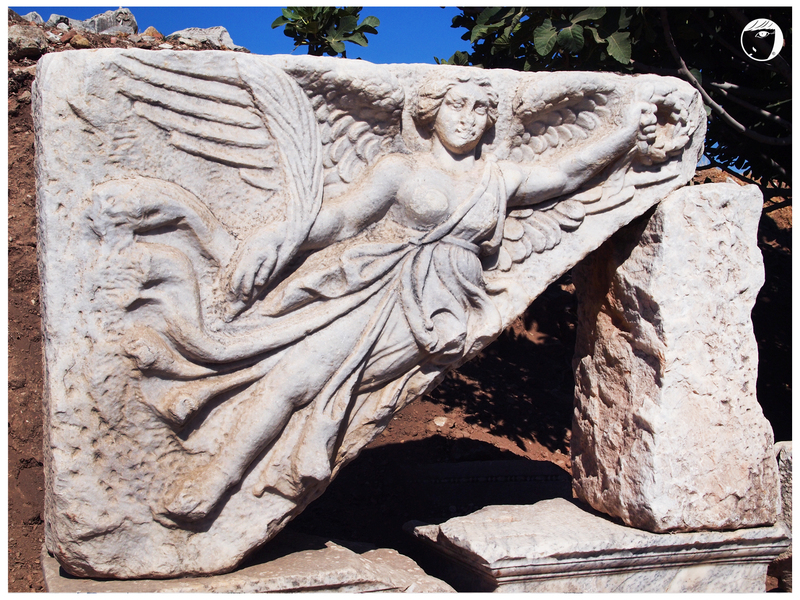 The water of Pamukkale is the combination of calcium bicarbonate, magnesium and calcium-sulphate therefore it is believed to have healing properties to the eyes and skin and also to asthma and rheumatism. 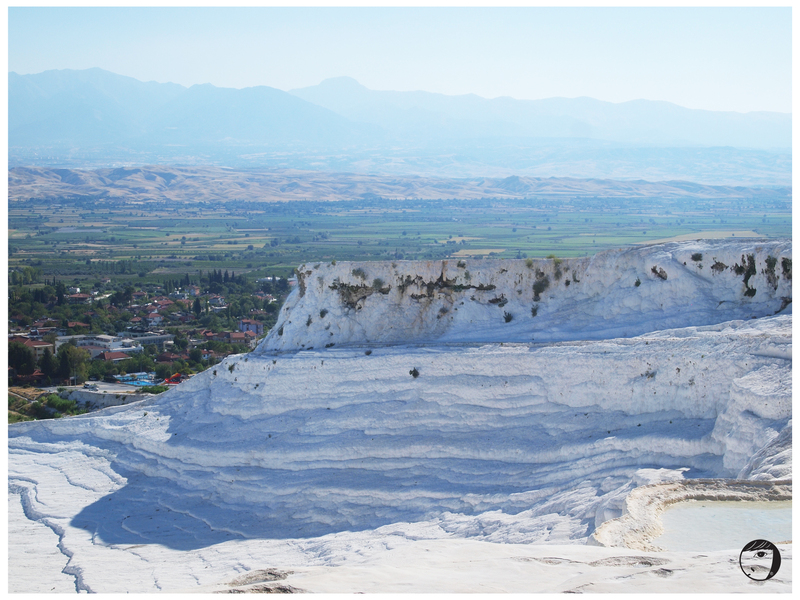 Seeing a snow-cotton-like calcareous castles at Pamukkale is one of the most important highlights of my Turkey tour that I will not forget. 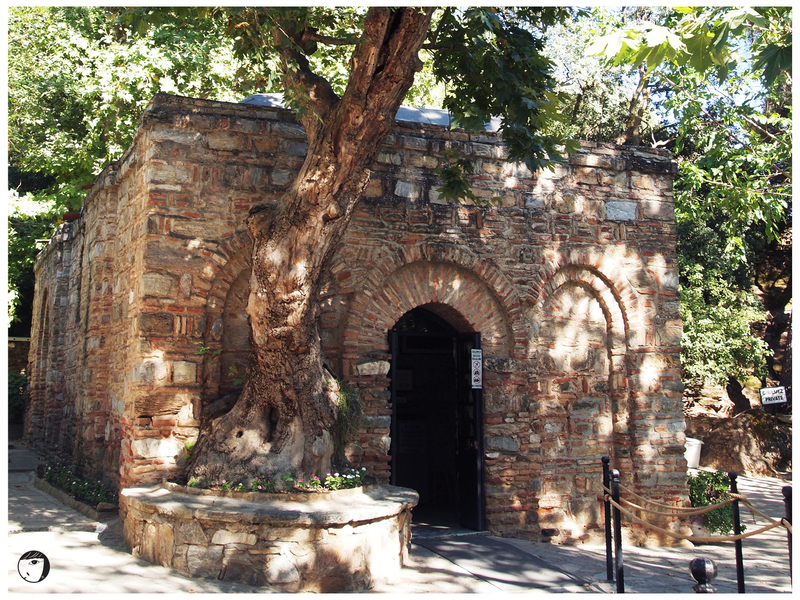 The House of Virgin Mary or in Turkish “Meryemana Evi” is an important place for Catholics and Muslims. The place is located on Mt. Koressos. It is a very tranquil and peaceful place. This chapel, long believed to be the place where Mother Mary spent her later years, is a very small and modest building. This place came about from a dream by an invalid nun in Germany in the early 19th century who had a series of visions about this place. The house is made of preserved stone, not large and very modest. In 2013, there was a massive forest fire along Turkey’s Aegean coastline. Miraculously, the fire stopped within 1.5 meters of the house. Though the flames had destroyed everything within 1 to 1.5 meters of the house, there was not even a spot of damage to the house itself. No photograph allowed to be taken inside the house. 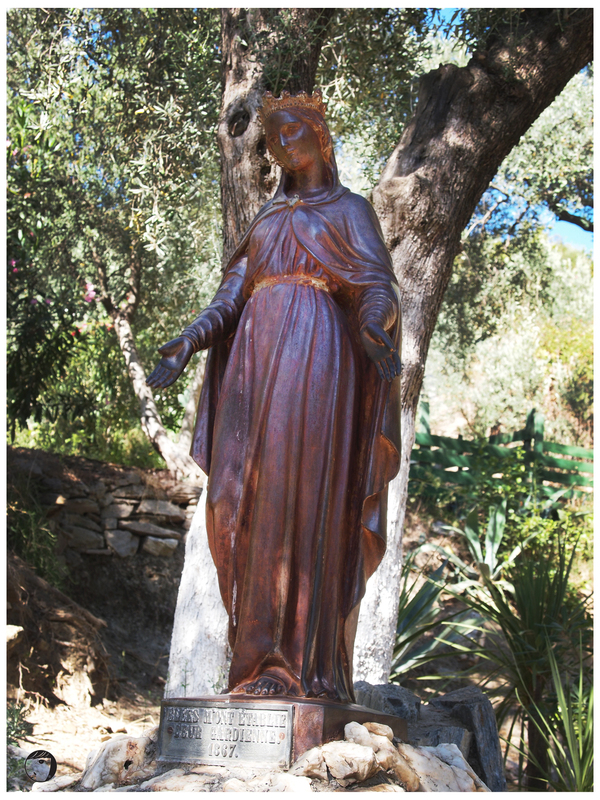 Upon entering, an altar with a large statue of the Blessed Virgin Mary is prominently displayed in the center. It is very peaceful inside and those who want to pray can kneel down. Once you have walked through the house you then will travel down the path to the natural spring where you can gather your own holy water. 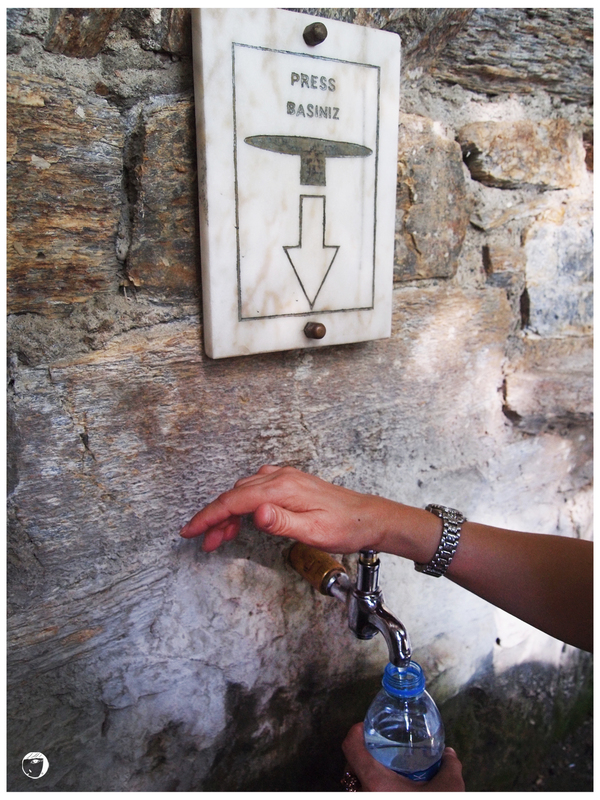 Pilgrims believe that the water from the spring water have healing properties. 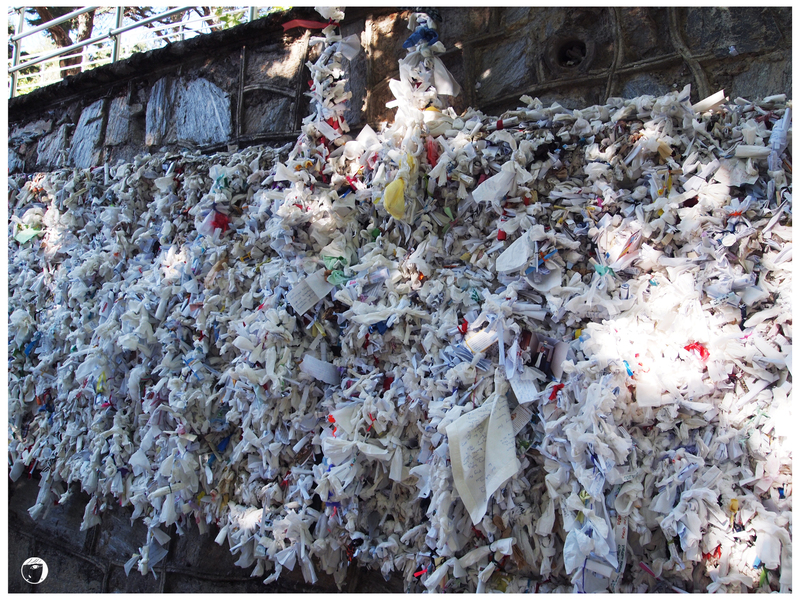 Next to the spring was the wishing wall where you place your notes written with a wish. From Istanbul, I continued my Turkey Tour to Bursa. 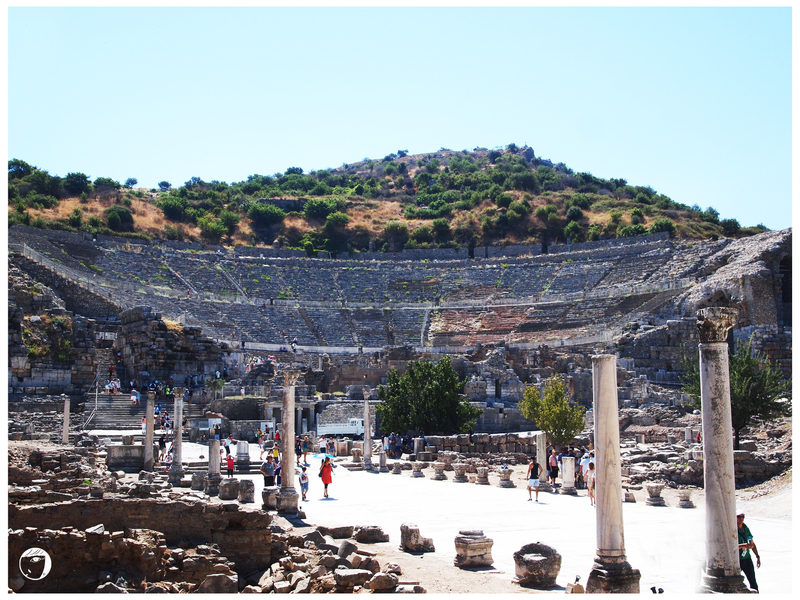 Bursa has a few famous places that worth the visit. 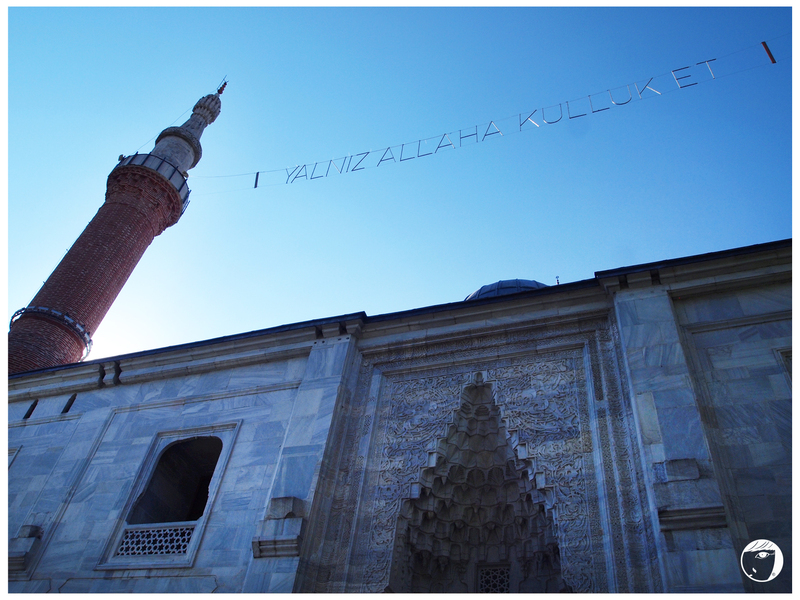 Yesil Camii is another great mosque of Turkey built in Ottoman architecture style. It is also known as Green Mosque. 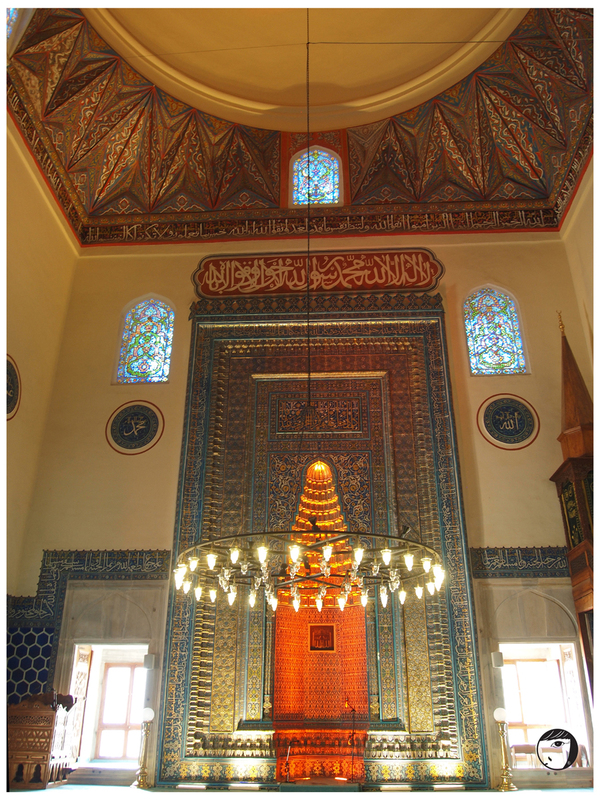 Similar as Sultanahmet Mosque or also known as Blue Mosque, Yesil Camii also takes its name “Green Mosque” from the green-blue tiles of the interior. 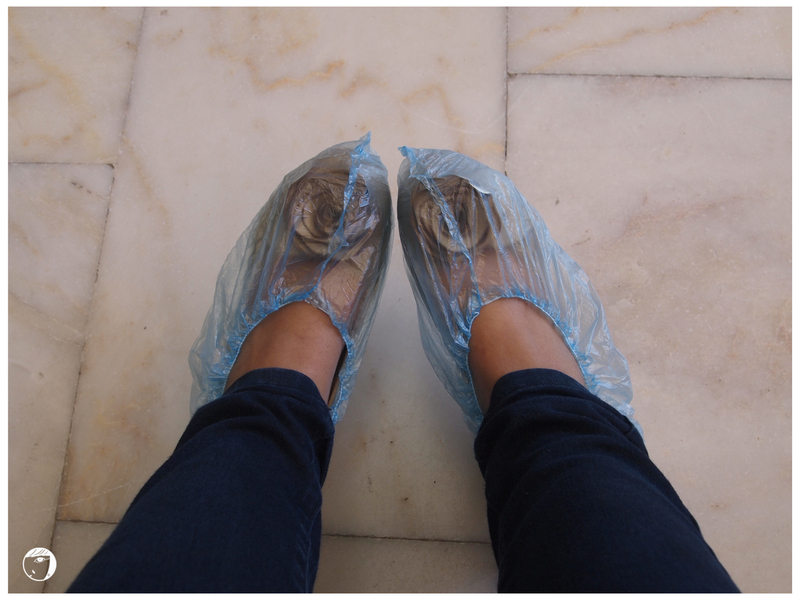 Same as Sultanahmet Mosque and Great Mosque, before entering appropriate attire is required, shoes must be taken off and women need to cover their head. It did not take so much time to explore Yesil Camii. Outer appearance of the mosque is covered in white marble with very exquisite decorations. But the interior inside is magnificent with the walls covered with dark green tiles. There is also a beautiful mirhab (prayer niche) is apparently known as the ‘gate to paradise’. 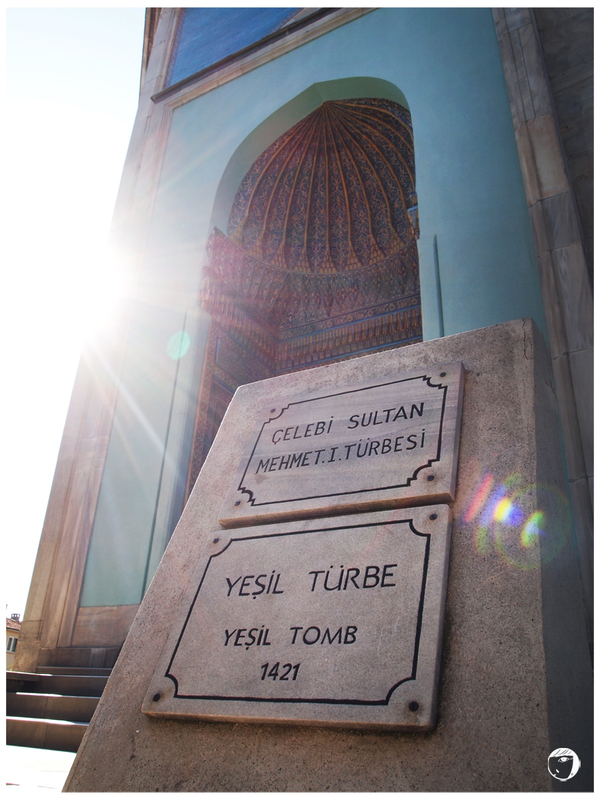 Behind the Green Mosque is the Yesil Türbe (Green Tomb), which is only about 1-2 mins away. It is built on a hexagonal plan with a hemi-spherical dome. The exterior is clad with green-blue tiles give it its name. The door is made of wood, and carved in a very detailed carving. Inside, the tomb on the platform belongs to Mehmed I stands on a platform at the center surrounded by seven other tombs. 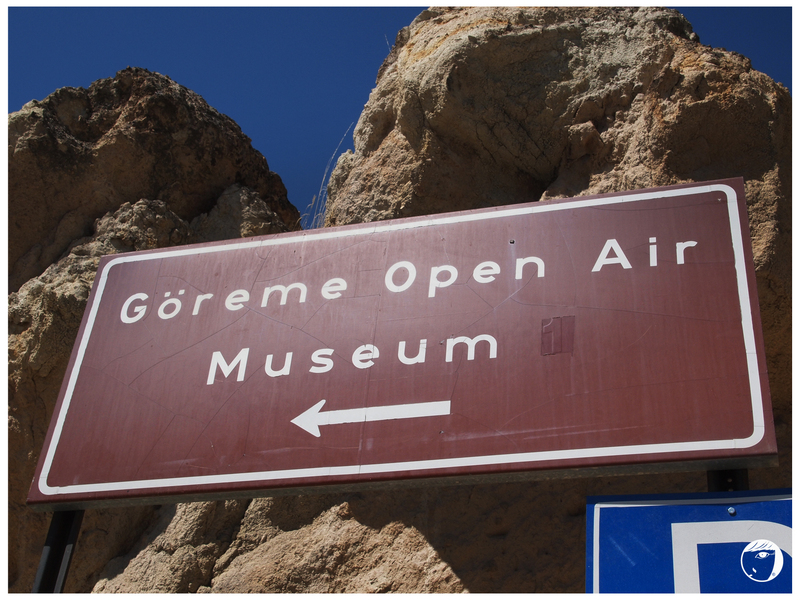 The total hour spent for both places are lesser than 1 hour, but both places are worth to go.